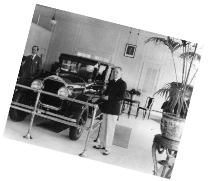 Welcome to the Durant Motors Automobile Museum a subsidiary of the Durant Motors Automobile Club Inc. We hope you enjoy your visit and spend some time browsing the many exhibits we have to offer documenting the history of William C. Durant, the Durant Motors Corporation as well as other automobile companies associated with Durant and Durant Motors Inc.
Our virtual museum collection represents photographs, documents, advertising and artifacts related to William C. Durant and the Durant Motors Corporation. 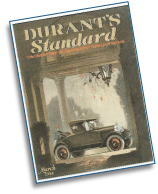 The collection also contains items from automobile companies associated with Durant Motors from 1922 to 1935. To view the collection click below. If you would like to donate to our Museum, please go to our “Contact Us” page.